Apparently its not just smartphones and tablets that get the teardown treatment these days as accessories do as well, as the Apple iPad 2 dock and Apple iPad dock has now been given the teardown treatment. According to an article over on 9to5 Mac the guys over at iLounge have taken screwdriver to iPad dock and done the necessary deed to discover what the Apple gear accessory hides within its shell and discovers why the iPad 2 dock is heavier than the iPad 1 dock. 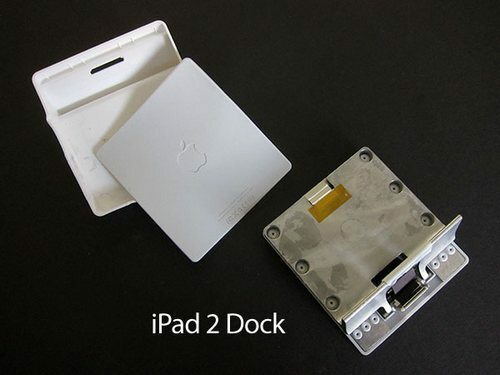 As for what else lurks hidden within the confines of the Apple iPad 2 dock, apparently not much else, a spring loaded dock connector, a dock connector cable and a small circuit board, so there’s just as much empty area in the dock as used area, but if you want to complete low down on the teardown you can check out the iLounge website.